Synopsis: Americans love animals and especially pets - theirs or others. If you think your pet's story is book-worthy, author Nancy Ellis-Bell will show you how to transform that furry, feathered or finned "tail" into a commercial "tale". The class will focus on developing your central story, implementing novelistic techniques to make your story compelling, balancing past tense narrative with present moment unfoldment, interweaving first person narrative with third person narrative, avoiding inappropriate anthropomorphism, and making your pet into a star - along with you! Ellis-Bell is the author of "The Parrot Who Thought She Was a Dog" (Harmony Books, 2008 Hardcover, 2009 Paperback), which was named one of the top ten non-fiction titles in its category for 2008. She is also the co-author of "A Man For All Species" with Marc Morrone (Harmony Books, 2010 Hardcover). Morrone is the nationally acknowledged pet expert featured regularly on "The Martha Stewart Show". Ellis-Bell is also a literary agent who specializes in memoir and narrative non-fiction. Synopsis: Americans are fascinated with the animals around us, seeking out books, movies and television programs which address our curiosity. If you are someone whose experience with animals has led you to a particular observation or insight which might appeal to a larger audience, you might want to consider writing a non-fiction work about that experience. It's not only pet stories that sell, it's also more objective (not necessarily scientific) works that appeal to American readers. Those involved in veterinary medicine, rescue organizations, breeding environments, environmental groups, animal entertainment, guide and service animals, and a host of other animal-based endeavors may have a wealth of information to share. 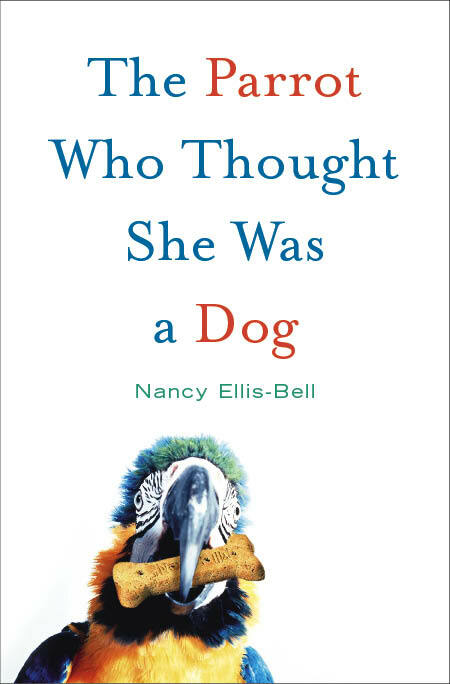 Nancy Ellis-Bell is an author in the animal memoir category ("The Parrot Who Thought She Was a Dog", Harmony Books, 2008/2009), and also the co-author of "A Man For All Species" with Marc Morrone (Harmony Books, 2010), which looks at the world of pet keeping along with the animal export business, animals as entertainment, cultural perspectives on animal husbandry, and the zoo scene. Morrone is the nationally acknowledged pet expert featured regularly on "The Martha Stewart Show". Ellis-Bell is also a literary agent who specializes in memoir and narrative non-fiction. Using your life as a literary landscape, you will learn how to create memoirs from your most significant experiences. Whether writing for your own satisfaction or in order to bring your story to the world, this class will offer practical techniques for both novice and expert writers. Author/agent Nancy Ellis-Bell will show you how to identify and develop your authentic voice, balance narration and action, maintain the power of the “present moment,” pare your descriptions to the essential image or emotion, use the emotional values of words, and balance a compelling narrative pace with reflective pauses. There will be in-class exercises, short assignments between classes, editing sessions, and useful information from the instructor’s thirty-year background as a professor, literary agent and author. Nancy is a recognized literary agent named one of the top 25 agents in the country by Writer’s Digest. To register, call (415)927-0960, ext. 1, or sign up online.